Ackman sees strong gains for Starbucks’ stock price, saying the coffee chain’s troubles are surmountable and it has a tremendous opportunity for growth in China. 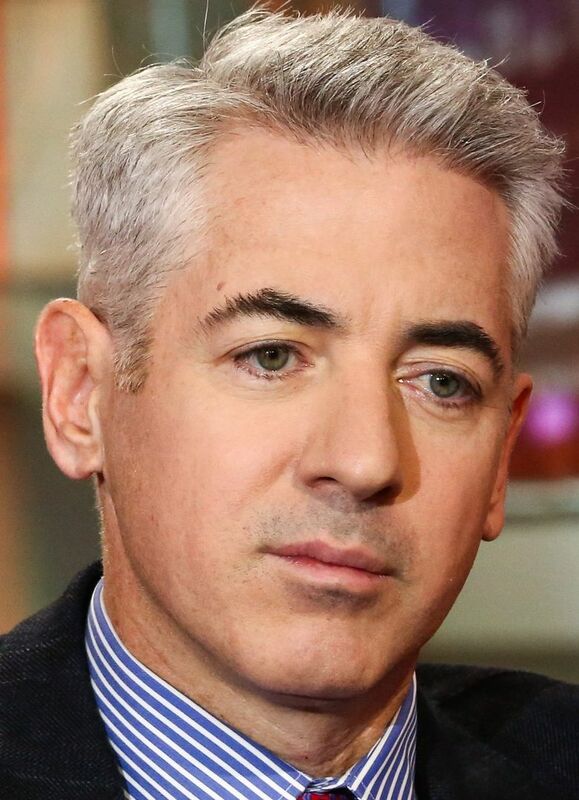 Activist investor Bill Ackman, announcing a $900 million stake in Starbucks on Tuesday, said he believes the coffee chain giant’s shares can more than double over the next three years. “We believe Starbucks’ recent challenges are fixable with appropriate management execution,” Ackman said in the 43-page presentation titled “Doppio,” the Italian term for double espresso. “We expect that China will grow nearly twice as fast as Starbucks’ overall earnings and represent an increasingly larger percentage of the company’s earnings,” he added. Starbucks is a “category killer” in coffee purchases away from the home, Ackman said, noting that its market share is 15 times larger than the No. 2 player in the space — McDonald’s — and 3.5 times bigger than the other top 10 players combined. Starbucks’ stock price rose as much as 5.6 percent Tuesday after Ackman disclosed that his hedge fund, Pershing Square Capital Management, had acquired 15.2 million shares in the company, or slightly more than 1 percent of its outstanding stock. The shares closed up $1.17, or 2.1 percent, at $57.71, giving the Seattle-based firm a market value of about $77.9 billion. The coffee chain has been struggling with slow afternoon sales and a decline in its signature Frappuccino line. It’s also been facing pressure as customers — who once saw Starbucks as high-end — trade up for more premium coffees. Starbucks, too, has been offering select roasts at new higher-end destination stores. Starbucks has already embarked on a campaign to boost shareholder returns, pledging buybacks and dividends to the tune of $25 billion through 2020. Last month, the company said it was also planning structural changes, including layoffs, starting at the top levels to help it make decisions faster. It named a new chief financial officer Monday: Patrick Grismer, who joins from Hyatt Hotels, where he was CFO. In June, former CFO Scott Maw announced plans to retire this year, which spooked investors already worried about stability after visionary leader Howard Schultz departed the same month. U.S. sales growth has slowed, although business abroad has been booming and the chain continues adding more cafes. Starbucks also faced backlash this spring after two black men were arrested at one of its stores in Philadelphia while waiting for a meeting to begin. 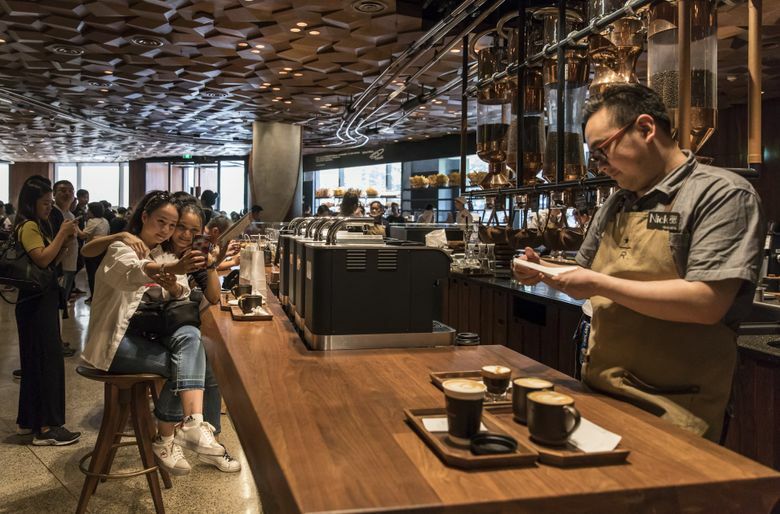 Starbucks is rapidly expanding in China — a market it eventually sees as surpassing the U.S. It aims to have 6,000 stores and triple revenue in China over the next five years. But there, too, same-store sales fell 2 percent in the fiscal third quarter — a performance executives said would be temporary and attributed to shifting customer purchasing patterns as new stores opened. Starbucks in August announced a partnership with Chinese commerce giant Alibaba Group to offer coffee delivery. The issues dragging on Starbucks’ same-store sales in the U.S. are temporary, Ackman said, citing recent changes to the chain’s loyalty program and weak sales of Frappucinno and other core beverages. He was encouraged by management’s recently announced plans to reinvigorate sales through new premium products, new concepts for boutique stores, more healthful offerings and a rollout of an improved mobile ordering and payment app. Starbucks has a “long runway for high-single-digits” growth led by its expansion in China, Ackman said. Shareholders will also benefit from its stock buyback plan, he said. This year, Ackman has also disclosed new positions in industrial manufacturer United Technologies, where he is advocating for a breakup of the company, and retailer Lowe’s, where he said he was supportive of Chief Executive Officer Marvin Ellison’s efforts to improve the company’s performance. Last week, Pershing Square reported a net return of 15.8 percent on its investments year to date through the end of September compared with gains of about 8 percent for the S&P 500 during the same period. The firm’s assets under management have fallen about 10 percent this year to about $8.4 billion, though that total is up from about $8.3 billion at the end of August. Another Seattle-area company, Microsoft, has had its own scrape with an activist investor — ValueAct Capital — that ended last year. Beginning in 2014, ValueAct took a 1 percent position in Microsoft’s shares and negotiated a deal for a seat on its board of directors, pressuring for shareholder-friendly policies, such as stock buybacks and increased dividend payments. Seattle Times business reporter Benjamin Romano and Bloomberg reporters Courtney Dentch, Joshua Fineman and Leslie Patton contributed to this report.